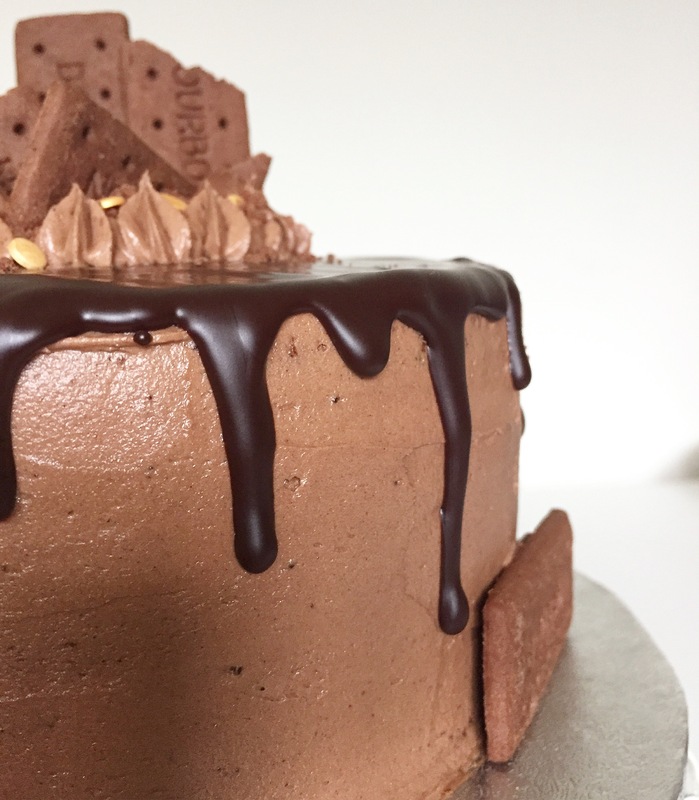 Bourbon’s are my favourite biscuit and after discovering just how marvelous they taste in cheesecake form (see recipe here) I decided to make my 27th Birthday a little easier to digest by baking myself a three tiered Bourbon biscuit dream cake. 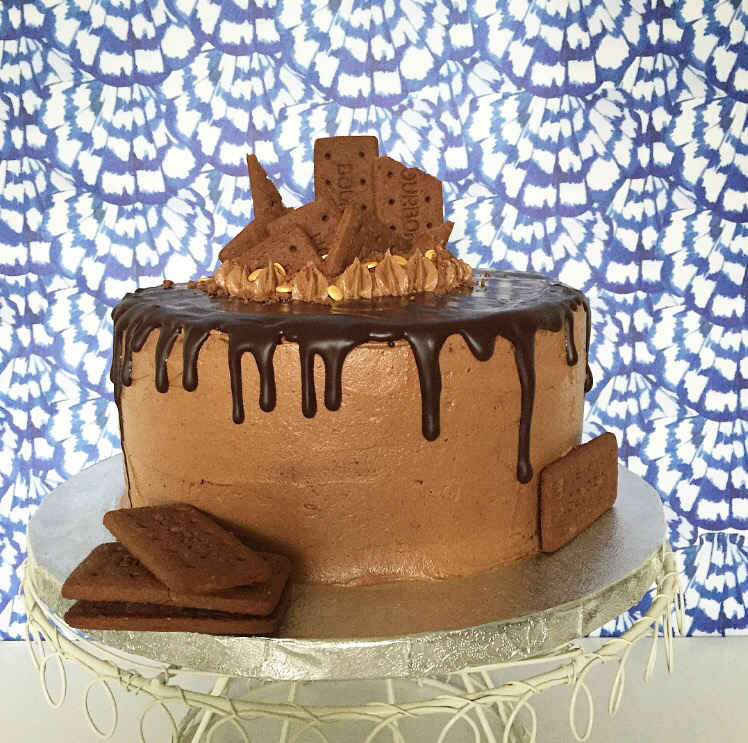 The cake itself is super chocolatey whilst trying to still capture the slight malty taste that Bourbon biscuits have. 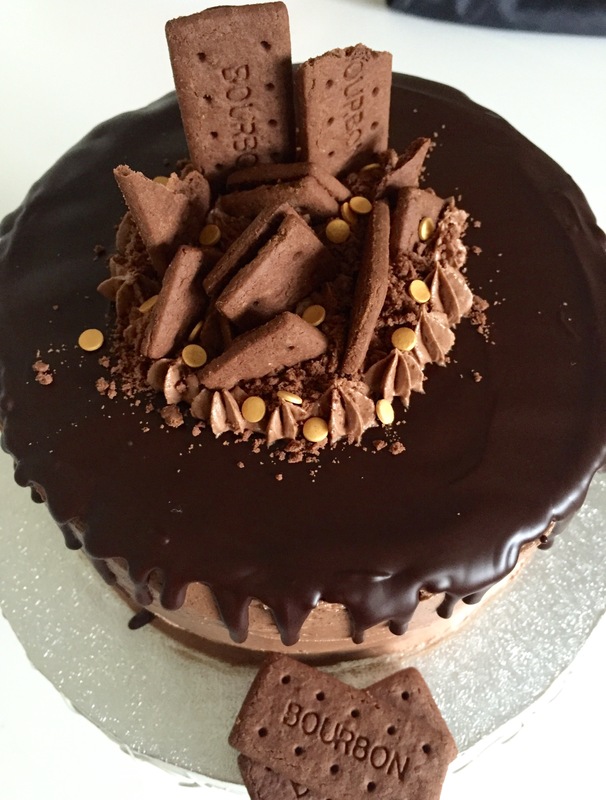 For this, I called upon my trusted tub of Horlicks and included a tablespoon within the two chocolate cake layers and baked an entirely malt white sponge layer to sandwich in between (what’s a birthday without a little surprise hey). 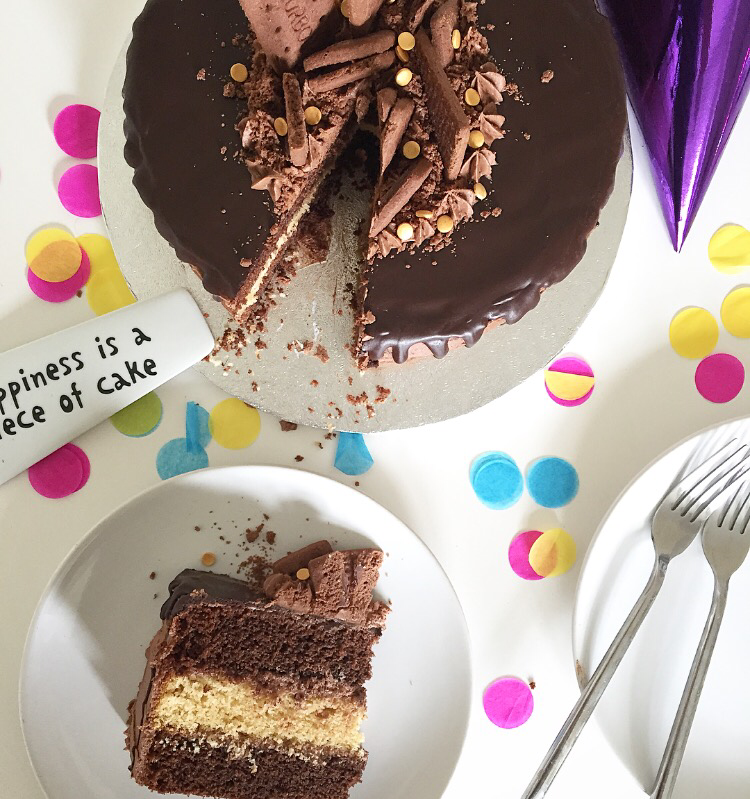 This was my first attempt at a drip cake – with success anyway – and to ensure a good drip, I added butter to my dark chocolate topping and used a piping bag around the edges to encourage the oozing edge before filling on top. The malt chocolate buttercream will be enough for the filling, crumb coat, a second and final coat and the small piping for on top of your cake. TIP: You can make the sponge layers the night before, just leave to cool completely before wrapping in cling film tightly and then placing in the fridge. This also makes it easier when it comes to leveling the cakes by cutting off any dome tops. Can I just take a moment, sorry it would take a lifetime, to take in this beautiful, wonderful, enlighting, delicious, mouth watering materterine and then imagine the taste of this bourbon brilliance? P.S You seriously need to go on a baking show, like the Great British Bake Off, you’d probably win that whole thing! Looks amazing. Could I just ask how many this serves?